Looking for a quality Heating and Cooling Company that you can trust? 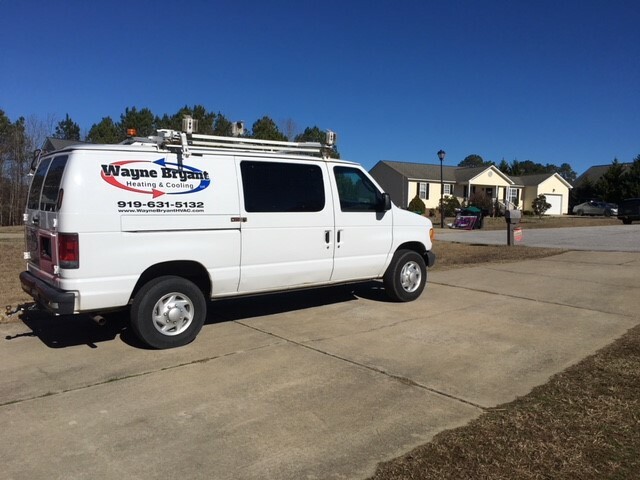 Wayne Bryant Heating and Cooling is a family owned and operated company based out of Fuquay-Varina, NC. But we do business with customers throughout the area including Angier, Apex, Buies Creek, Cary, Clayton, Fuquay-Varina, Lillington, and Raleigh. If you are not sure whether you fall within our Service Area go ahead and give us a call. To best serve our customers, we offer 24/7 service, and all of our employees are screened for illegal substances and background checked. For heating or cooling service in Fuquay-Varina, Angier, Apex, Buies Creek, Clayton, Lillington, or Raleigh please call or text us at 919.631.5132, send us an email, or fill out the contact form to the right. We look forward to hearing from you and working with you.